Taking apart a reel is necessary for cleaning, maintenance, and service. Shimano fishing reels must be disassembled to be properly cleaned and maintained, and if service is required, they have to be taken apart, too. 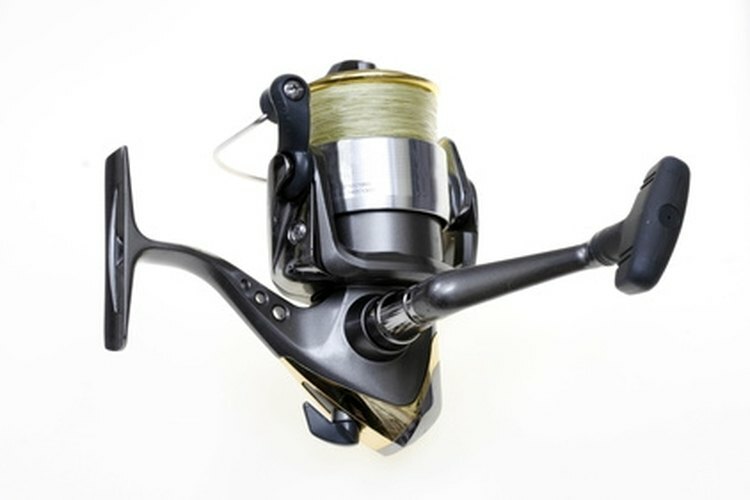 The Shimano fishing equipment company makes spinning and baitcasting reels, both types of which can be taken apart. The process is different for each style of reel, but anglers who use both should know how to take them both apart. Spin counterclockwise the drag dial located on the very top of the reel. Lift off the dial when it is loose enough. Then pull the line spool off the reel. If the reel does not have a drag on top of the reel, grab the bale and spin it counterclockwise until you can pull the line spool off. Turn counterclockwise the knob on the side of the reel opposite the reel handle. Remove the knob when you can, and then pull the handle off the reel. Locate the screws that hold a plate onto the reel. Use the screwdriver to remove those screws, and then lift the plate of the reel, which will expose the inside of the Shimano reel. Turn counterclockwise the knob on the reel that is on the side opposite the handle. Turn it until you can pull it off the reel. Then pull off the reel handle. Remove the screws that hold the side plate of the reel to the main part of the reel. Pull off the side plate. Pull out the metal piece that runs through the inside of the line spool. Lift the line spool out of the reel.